A Christian amulet dating to the sixth century C.E. containing passages from the books of Psalms and Matthew. Photo: Courtesy University of Manchester. Life is fraught with danger. Thus, it is not surprising that throughout the ages, people have taken safety precautions. One of the ways this was done in Coptic Egypt was through the use of amulets, protective charms believed to ward off evil. Amulets had been known in Egypt long before the Coptic period, but during this time an interesting change took place. The old spells were often interfused and replaced with short citations of Scripture from the Hebrew Bible and the New Testament. In many cases, these citations took the form of a phrase or an incipit. Meaning “it begins” in Latin, an incipit refers to the beginning of a work—be it a book, song, poem, prayer, musical piece or (in the modern world of computer science) an encryption code. With texts, an incipit usually signifies the title or opening phrase. 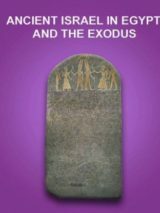 Amulets containing incipits of Biblical passages have been uncovered from Egypt and are the subject of a recent book by Joseph E. Sanzo. Like any good tradesman, ritual specialists who made amulets would customize them to suit their consumers’ needs. The Biblical passages they selected were often meant to address particular concerns or ailments. Common incipits include Psalm 91 (Psalm 90 in the Septuagint), the Lord’s Prayer (Matthew 6:9) and the beginnings of the Gospels. Written on vellum, this Coptic amulet dates to the seventh or eighth century C.E. It has the titles and initial words of the Gospels of Matthew, Mark, Luke and John, as well as magical symbols along the bottom of the page. This piece of parchment was rolled up, placed inside a case and then worn by an individual. Photo: University of Michigan Paprology Collection. The Greek and Coptic amulets and related artifacts that have survived from late antiquity (c. 300–700 C.E. ), mostly from Egypt, demonstrate that many “magicians” (a.k.a. practitioners, ritual specialists or ritual experts) attributed special significance to scriptural incipits, especially the opening words of the Gospels, the Lord’s Prayer and Psalm 91 (MT). This value that practitioners placed on the scriptural incipits, however, did not prevent them from creatively interacting with these texts or modifying them to accommodate the sizes of the material objects they were using. Other objects reflect the opposite tendency, citing only a few words of the opening line. For example, SIA 38 cites only the first phrase of Psalm 91 (“The one who dwells in the shelter of the Most High”). In addition, the Coptic amulets SIA 4 and 13 include only a few words from Luke 1:1 (“Inasmuch as many have undertaken”). In these abbreviated cases, it seems that the practitioner needed to provide just enough text so that the opening line would be recognized as such. This diversity in the length of the passage cited is largely reflective of the varying sizes of the artifacts that practitioners used for making amulets. But the diversity of the scriptural incipits on amulets is not confined to the length of the passage cited. For example, the practitioners that cited the gospel incipits placed those opening lines in various orders. To be sure, most Coptic texts align with the “canonical” order (Matthew, Mark, Luke, John). Yet, by contrast, the Greek materials that include multiple gospel incipits do not follow a consistent pattern: SIA 3 (John, Matthew, Mark, Luke); SIA 8 (John, Luke, Mark, Matthew); SIA 10 (John, Matthew, Mark, Luke); SIA 12 (Matthew, Mark, Luke, John); SIA 15 (John, Matthew); and SIA 16 (Luke, Matthew, John). This list of artifacts also illustrates another important point: Ritual specialists cited different numbers of gospel incipits. Thus, one can find amulets that include one, two, three, four or even five “gospel” incipits in sequence (see discussion below). That many practitioners listed the opening lines of the Gospels, in particular, is worth noting. Given the circulation of numerous gospels during late antiquity, including those found in the Nag Hammadi Library, the defense of the four-fold Gospel canon was a priority for many early Christian leaders. For instance, as part of his argument against the competing views of other early Christian leaders, such as Marcion of Sinope (c. 85–160 C.E.) and Valentinus (c. 100–160 C.E. ), Irenaeus of Lyons (c. 130–202 C.E.) argued that Christians must only recognize four Gospels (Adv.Haer. 3.11.8). Also, Eusebius of Caesarea (c. 260–340 C.E.) defended the four-fold Gospel corpus in part by stressing that Origen of Alexandria (c. 185–254 C.E.) only knew of four Gospels (Hist.eccl. 6.25.3). The gospels, therefore, represented a particular sub-corpus of literature that figured prominently in debates about canonicity. It is significant, therefore, that some ritual experts did not simply list the gospel incipits, but also drew explicit attention to the four-fold Gospel collection. For example, the practitioner behind SIA 5—a sixth-century C.E. Coptic codex probably used as an amulet—prefaces his or her citation of the gospel incipits with the clause, “This is the order of the opening of the four Gospels.” This statement thus frames the incipits that follow in definitive terms. In addition, after citing the opening lines of the four canonical Gospels, SIA 2 includes the following statement: “The four beginnings of the gospel, which is holy: the Gospel according to Matthew; the Gospel according to Mark; the Gospel according to Luke; the Gospel according to John.”5 Even more than in the prior example, the scribe behind this seventh-century C.E. amulet has drawn attention to the holiness of the four-fold Gospel corpus. These practitioners were not simply citing important or sacred texts, but—at least in some capacity—were also self-consciously capitalizing upon the significance of an exclusive number of gospels and, consequently, marking the boundaries of holy writ. But the relationship between canonicity and the use of gospel incipits on amulets must be qualified in various respects. First of all, the available evidence from late antiquity suggests that the Gospels were the only sub-corpus of Biblical literature used on amulets for which the term “canon” could even be applicable. No late antique amulet marks in this way the Pentateuch or the Psalms or the Pauline epistles or any other Biblical sub-corpus. Secondly, as I have noted above, several artifacts that deploy gospel incipits deviate from the four-fold sub-canon, whether citing one, two or three gospel incipits, or quoting from an extra-canonical incipit. In these cases, we are either witnessing the citation of a relevant text—which just so happens to correspond to the opening line of a scriptural book—or a lack of awareness of canonicity or the invocation of a canon that does not correspond to our inherited canonical parameters. Again, in most instances it is difficult to determine which of these possibilities is at work. Yet, interestingly, there is evidence that practitioners engaged with what might be called alternative gospel canons. For instance, the practitioner behind SIA 16, a fifth- or sixth-century C.E. Greek amulet, cites the incipits of only three of the canonical Gospels—i.e., all but that of the Gospel of Mark. Since the practitioner includes requests for protection immediately after the three incipits, a lack of space cannot account for the absence of the second Gospel. The question remains: Did the practitioner intentionally use a more restrictive collection of gospels, or did he or she simply forget to include the Gospel of Mark? While a definitive answer to this question will probably forever elude us, it is important to note that the second Gospel is disproportionately underrepresented in the extant manuscript evidence from late antique Egypt. As one Bible commentator succinctly puts the matter, “Mark was not the favorite Gospel in early Christianity.”6 Thus, the practitioner behind SIA 16 might have simply appropriated a conception of Christian canon that did not include the Gospel of Mark. An even more fascinating example is SIA 4, a sixth- or seventh-century C.E. Coptic amulet. In this amulet, the practitioner cites the incipit of Jesus’ Letter to Abgar followed by the incipits of each of the four canonical Gospels in the otherwise unattested order: Matthew, Luke, John and Mark.7 The placement of the incipit of Jesus’ letter to Abgar before the incipits of the canonical Gospels suggests at the very least that—in agreement with the Syriac church—the practitioner considered Jesus’ Letter to Abgar to be scriptural. However, the text on this artifact concludes with a sufficient amount of space for additional texts. In other words, the practitioner cited a collection of texts and then stopped. Accordingly, the scribe appears to have constructed his or her ritual in dialogue with a finite textual corpus—in particular, one that deviates from the traditional Christian canon. But an important question remains: How did practitioners think that the gospel incipits worked? In my book Scriptural Incipits, I address this issue. I call into question the prevailing assumption that the gospel incipits invoked the Gospels according to a simple part-for-whole model. This model presupposes that the practitioner cited the opening line of a Gospel (or the four Gospels) in order to get the power associated with the entire text. While I entertained the possibility that the incipits of Psalms and other relatively short units of scripture might have worked according to this part-for-whole relationship, I argue that it is quite unlikely that Biblical sub-corpora (e.g., the Gospels), which consist of numerous sayings and narratives, would have been invoked as wholes. Among other evidence, I point to the frequent use of short thematic units taken from different Biblical books in the extant amuletic record. This consistent practice demonstrates that ritual experts valued specific texts that had some kind of analogical connection to the needs of their clients (e.g., a healing or exorcism story). These words clearly demonstrate that Evagrius—like ancient practitioners—thought that only certain passages from the Bible could thwart demonic attack. Stated negatively, this view assumes that the “Bible” as a whole (and many of the passages contained therein) would simply not have worked against demons. Some readers might be surprised that many ancient practitioners held certain Biblical texts, such as the incipits, in high esteem. After all, don’t amulets and related objects belong to the realm of “magic” and, accordingly, stand in conflict with Christian “religion”? As it turns out, many individuals from antiquity thought that the practices we would identify as “magical” and those we would identify as “Christian” complemented one another—or at least were not in tension with one another. While it is often difficult to determine with certainty the religious affiliations of the makers and users of amulets, one can reasonably presume that in many cases both were Christian. For instance, in addition to passages from the Bible, the texts of some amulets contain known or invented Christian creeds. Suppl.Mag. 31, a fifth- or sixth-century C.E. Greek amulet, cites the Niceno-Constantinopolitan Creed (or related tradition), while Suppl.Mag. 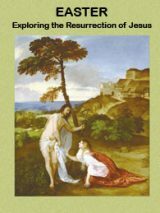 23 and 35 arrange significant aspects of the Jesus story (e.g., his birth, crucifixion, burial and resurrection) into creedal-like formulas. In these cases, it is very likely that the practitioners and their clients were Christian. That an ecumenical council had to condemn the making and use of amulets in this way strongly implies that Christian leaders made amulets and Christian laypersons used them. In addition to such condemnations, magical handbooks (a.k.a. grimoires) have been discovered in Egyptian monasteries, thus suggesting that monks were among the practitioners of late antique Egypt.11 The available evidence, therefore, leads one to conclude that many self-identifying Christians who lived in Egypt and elsewhere during late antiquity—clergy and laity alike—saw no conflict whatsoever between Christianity and the making or use of amulets. Augustine’s perspective on the separation between magic and Christianity hints at the great extent to which definitions of and distinctions between magic and religion are ideologically motivated. In light of the inherent biases associated with “magic” and “religion,” scholars have debated—and continue to debate—whether these terms should be removed from the vocabulary of scholarship or used with appropriate nuance.13 Such debates notwithstanding, most scholars would agree that it is often very difficult to draw clear lines between “magical” practices and “religious”—or “Christian”—practices in antiquity. In sum, amulets and other ostensibly magical objects figured prominently in the lives of many early Christians and thus offer important glimpses into several dimensions of Christian history. This Bible History Daily feature was originally published on October 2, 2015. Joseph E. Sanzo received his Ph.D. in History from the University of California, Los Angeles (UCLA). He is a historian of early Christianity, whose research focuses on Greek and Coptic amulets from late antique Egypt. His most recent book is Scriptural Incipits on Amulets from Late Antique Egypt: Text, Typology, and Theory (Mohr Siebeck, 2014). 1. Abbreviations of collections of primary sources: PGM = Karl Preisendanz, ed., Papyri Graecae magicae: Die griechischen Zauberpapyri, 2 vols., rev. ed. Albert Henrichs (Stuttgart: Teubner, 1973–1974); SIA = Joseph E. Sanzo, Scriptural Incipits on Amulets from Late Antique Egypt: Text, Typology, and Theory (Tübingen: Mohr Siebeck, 2014), pp. 74–135; Suppl.Mag. = Franco Maltomini and Robert Daniel, eds., Supplementum Magicum (Suppl. Mag. ), 2 vols. (Opladen: Westdt. Verl., 1990–1992). Unless otherwise mentioned, all English translations have been taken from Marvin Meyer and Richard Smith, ed., Ancient Christian Magic: Coptic Texts of Ritual Power (Princeton: Princeton University Press, 1999). 2. The first part of the incipit of the Gospel of John on this inscription has been reconstructed. 3. In fact, David Brakke has persuasively argued that it was precisely this lack of agreement about the boundaries of the canon in early Christian Egypt that prompted Athanasius to compile his list of approved and non-approved books in the first place. David Brakke, “Canon Formation and Social Conflict in Fourth-Century Egypt: Athanasius of Alexandria’s Thirty-Ninth ‘Festal Letter,’” The Harvard Theological Review 87 (1994), pp. 395–419. 4. On the problems with the term “Gnosticism,” see especially Michael A. Williams, Rethinking “Gnosticism”: An Argument for Dismantling a Dubious Category (Princeton: Princeton University Press, 1996). 5. Translation taken from Paul A. Mirecki, “A Seventh-Century Coptic Limestone in the Ashmolean Museum, Oxford (Bodl. Copt. Inscr. 426),” in Paul A. Mirecki and Marvin W. Meyer, eds., Magic and Ritual in the Ancient World (Leiden: E.J. Brill, 2002), pp. 47–69. 6. M. Eugene Boring, Mark: A Commentary, The New Testament Library (Louisville, KY: Westminster John Knox Press, 2006), p. 22. 7. This document is the second letter (out of two) from an invented correspondence between Jesus and Abgar, king of Edessa. Both documents were commonly used on amulets during late antiquity. 8. I also argued that, because practitioners explored and navigated the blurred lines between canonical and extra-canonical traditions that overlap in content, the stories that were invoked through the gospel incipits might not have always corresponded to the canonical accounts (Sanzo, Scriptural Incipits, p. 160). In this vein, PGM P18, a fifth-or sixth-century C.E. Greek amulet, refers to Jesus as “the one who did both the many and ineffable healings beyond those that are discussed in the sacred gospels.” This practitioner recognized the Gospels as a “sacred” corpus of texts. Yet simultaneously he or she transgressed those scriptural boundaries by calling upon a larger cluster of Jesus traditions. 9. Antirrhêtikos, Prol. 3. Translation taken from David Brakke, ed. and trans., Talking Back, Antirrhêtikos: A Monastic Handbook for Combating Demons, CSS 229 (Collegeville: Liturgical Press, 2009), p. 50. 10. Translation taken from NPNF2-14. 11. See especially P. Cairo 45060, a magical handbook, which was discovered in a jar that was buried in a monk’s cell. For discussion of this object (and other data suggesting that monks served as ritual experts), see David Frankfurter, Religion in Roman Egypt: Assimilation and Resistance (Princeton: Princeton University Press, 1998), pp. 251–264, esp. p. 258. 12. For discussions of Augustine’s approach to magic and Christianity, see Robert A. Markus, “Augustine on Magic: A Neglected Semiotic Theory,” Revue des Études Augustiniennes 40 (1994), pp. 375–388; Olivier Dufault, “Magic and Religion in Augustine and Iamblichus,” in E. Depalma Digeser and R. M. Frakes, eds., Religious Identity in Late Antiquity (Toronto: Edgar Kent, 2006), pp. 59–83. 13. On this debate, see especially David E. Aune, “‘Magic’ in Early Christianity and Its Ancient Mediterranean Context: A Survey of Some Recent Scholarship,” Annali di storia dell’esegesi 24 (2007), pp. 229–294; Bernd-Christian Otto, “Towards Historicizing ‘Magic’ in Antiquity,” Numen 60 (2013), pp. 308–347; Henk S. Versnel, “Some Reflections on the Relationship Magic—Religion,” Numen 38 (1991), pp. 177–197. 14. Of course, several scholars have stressed the importance of amulets and the like for Christian history. See, for instance, Thomas J. Kraus, “Manuscripts with the Lord’s Prayer—They Are More Than Simply Witnesses to That Text Itself,” in Thomas J. Kraus and Tobias Nicklas, eds., New Testament Manuscripts: Their Texts and Their Worlds (Leiden: Brill, 2006), pp. 227–266, esp. pp. 227–232. On the need to incorporate magic into Jewish history, see Gideon Bohak, “Prolegomena to the Study of the Jewish Magical Tradition,” Currents in Biblical Research 8 (2009), pp. 107–150. 15. Theodore de Bruyn, “Papyri, Parchments, Ostraca, and Tablets Written with Biblical Texts in Greek and Used as Amulets: A Preliminary List,” in Thomas J. Kraus and Tobias Nicklas, eds., Early Christian Manuscripts: Examples of Applied Method and Approach (Leiden: Brill, 2010), pp. 145–90, at pp. 166–81. 16. 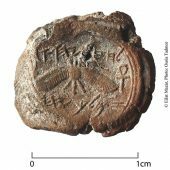 The Coptic amulets and handbooks have yet to be collected, but my research has shown that Biblical elements played a considerable role in the texts of such artifacts. Jacques van der Vliet and Adam Łajtar have usefully edited Biblical inscriptions on monks’ cells from late antique Nubia, some of which probably served a protective function. See, for instance, Adam Łajtar and Jacques van der Vliet, Qasr Ibrim: The Greek and Coptic Inscriptions Published on Behalf of the Egypt Exploration Society (Warsaw: Faculty of Law and Administration of the University of Warsaw et al., 2010). 17. See especially the writings of John Chrysostom (Hom. de statuis 19.14; In 1 Cor. hom. 16.9.7; In Matth. hom. 72) and Augustine of Hippo (In Io. tra. 7:12). 18. E.g., Theodore S. De Bruyn and Jitse H. F. Dijkstra, “Greek Amulets and Formularies Containing Christian Elements: A Checklist of Papyri, Parchments, Ostraka, and Tablets,” BASP 48 (2011), pp.159–214. 19. E.g., AnneMarie Luijendijk, “A Gospel Amulet for Joannia (P.Oxy. VIII 1151),” in Kimberly B. Stratton and Dayna S. Kalleres, eds., Daughters of Hecate: Women and Magic in the Ancient World (New York: Oxford University Press, 2014), pp. 418–443. 20. E.g., Jitse H.F. Dijkstra, “The Interplay between Image and Text on Greek Amulets Containing Christian Elements from Late Antique Egypt,” in Dietrich Boschung and Jan N. Bremmer, eds., The Materiality of Magic (Munich: Wilhelf Fink, 2015), pp. 271–292; Joseph E. Sanzo, “The Innovative Use of Biblical Traditions for Ritual Power: The Crucifixion of Jesus on a Coptic Exorcistic Spell (Brit. Lib. Or. 6796, 6796) as a Test Case,” Archiv für Religionsgeschichte 16 (2015), pp. 67–98. 21. For the use of amulets in the transmission history of the New Testament, see Brice C. Jones, New Testament Texts on Greek Amulets from Late Antiquity (London: T&T Clark, forthcoming). 22. Ra‘anan Boustan and Joseph E. Sanzo, “Christian Magicians, Jewish Magical Idioms, and the Shared Magical Culture of Late Antiquity,” Harvard Theological Review (forthcoming). 23. E.g., David Frankfurter, Evil Incarnate: Rumors of Demonic Conspiracy and Satanic Abuse in History (Princeton: Princeton University Press, 2006). This amulet practice would seem to bear some relationship to the traditional Jewish custom to hang a mini-scripture or mini-Hebrew word on a doorway to each room and the custom is to kiss the mini-scripture – this goes on the entrance to a house and to every room in the house except the bathroom. Is there any connection to this ancient amulet custom/practice in Egypt and the ages-old Orthodox Jewish custom or rule of placing a sacred word or words in a special container on a doorway and the attendant rituals? This article has facinsacting insights on the relationship between magic and Christianity during this time period. John Chrysostom of the late fourth century wrote that “the devil will not dare to approach a house where a Gospel is lying.” He also reported that some hung excerpts from the Gospels from their necks as a powerful amulet. Professor Gamble further noted that the Catholic theologian Augustine “considered it permissible in case of a headache to sleep with a copy of the Gospel of John under one’s pillow”! Thus Bible texts were employed for magical purposes. Would you consider the Bible to be an amulet, or a good-luck charm, that could protect you from evil? Would any of you care to venture a guess as to what percentage of incipit amulet wearers could actually read what their inscription said? My own studies of literacy in late Second Temple times leads me to believe that the numbers would be surprisingly small. Luckily, I have the annotated “New World Translation of the Holy Scriptures,’ which links the sentence from Psalm 91:14, “I shall protect him (literally; ‘I shall place him on high,’ that is, out of reach) because he has come to know my name,” with what Jesus said at the last supper in John 17:3; “This means everlasting life, their taking in knowledge of you, the only true God, and of the one whom you sent forth, Jesus Christ.” Then in reference to this knowledge, other New Testament sources are provided in Ephesians 4:13, Philippians 1:9, 2 Peter 3:18 and 1 Timothy 6:20-21, where it mentions a “show of knowledge,” which I would interprate to include the Hollywood versions of these mysteries (which I admittedly am a fan of, having a collection of excorcism films). To this I would include the spectacle of the so-called “faith healers” who are exhibitionists that are in the category of those who will not be worthy of the world to come, according to the Talmud, in the tractate Sanhedrin 90a, and are described as “one who whispers (a charm) over a wound and says, ‘I will bring none of these diseases upon the which I brought upon the Egyptians for I am the Lord that health thee” (Exodus 15:26).Now although Jesus would have been placed in this category since he was regarded by the religious authorities of his time as a heretic, it is intriguing how the Christians who possessed these magic amulets seemed to put credence in the power of Psalm 91, which begins with “O you who dwell in the shelter of the Most High,” and ends with God saying “(I will) show him salvation,” with the word for ‘salvation’ containing the Hebrew word for the name Jesus; Yeshua. “There can be therefore no question that every Kabbalist accepted, symbolically at least, the doctrine of the power of words. It must have passed very early into unfortunate applications; Sacred Names were written on amulets and talismans which were used to heal diseases, to avert evil chances and so forth. But it was a part also of the Chaldean doctrine that a ceremonial utterance of the Divine Name could, in some obscure way, influence the God to whom it was attributed. Above all, the demons and evil spirits became subservient to the power of such words. Here is the germ of which the last development, or rather the final corruption, is to be found in the French and Latin Grimoires of Black Magic” (“The Holy Kabbalah” pp.519-520). The Book of Solomon appears in the film ‘Season of the Witch” that depicts a rather entertaining excorcism while reciting this book. As for the above article that mentions an ‘incipit’ of Psalm 91 found in an amulet, there is a book translated in 1788 by Godfry Selig called, “Use of the Psalms, For the Physical Welfare of Man,” and it includes various permutations of divine names to be recited along with Psalm 91 and an admonition that in order to use these spells to protect you from an incurable disease you need to learn Hebrew. “The verse does not say, ‘I will answer him,’ but ‘I will raise him up.’ Furthermore, it does not say, ‘because he pronounced My Name,’ but ‘because he knows My Name.’ This is because the main thing is knowledge” (“Meditation and Kabbalah” by Aryeh Kaplan, p.128)..
I’ve seen several books of Pennsylvania Dutch Folk Magic and Appalachian conjure. I wonder if any of the same amulets are still being used in either of those regions..
“It is said that Christianity, universal in character, is the last teaching brought to men, and the word of an epoch’s ending. It is true that there is no higher teaching, but there is the constant beginning anew: One must always begin again, and it is due to this constant renewal that those who have not sinned against the Holy Spirit – meaning those who have not definitely repudiated the Spirit which makes and animates all – may come and go in order to discover the light at last” (Sacred Science; The King of Pharaonic Theocracy” by R.A. Schwaller de Lubicz, p.11). It looks like an awesome book, the kind of which are usually too expensive, so thank you, Dr. Sanzo, for sharing that and now I can augment that with what little information I gleaned from “Egyptian Magic” by E.A. Wallis Budge, printed in 1901. Like that episode of “Stargate XG1,” when someone mentioned that Budge’s books are not up to date, so do I see in fine print that the use of “magic” amulets were not limited to the Gnostics, but were used by mainstream Christianity as well. That the prophet Moses was invoked is interesting because there was a Ssmaritan tradition that was quoted by Stephen in Acts 7:22 where Moses is described as being ‘powerful in his words and deeds,’ this being a direct quote from an ancient hymn concerning the goddess Isis who was “strong of tongue, and uttered the words of power which she knew with correct pronunciation, and halted not in her speech, and was perfect both in giving the command and in saying the word” (“Egyptian Magic” p.129). “Jesus’ words indicate that the religious leaders viewed these cases as safeguards, or charms. The Greek word ” phy-la-kte’ri-on,’ in fact, primarily means an outpost, fortification, or safeguard” (‘Insight on the Scriptures, vol. 2,’ p.880).